Thanks Susan! I was a little unsure of what people would think about the honesty! Phew ! That took some concentrating to read all that. I’m in if you consider me enough of a blagger and useful enough to you. LoL Karen, what a sweet thing to say! Yep, it is one of my longer posts. Of course I would love to have you on board – will be in touch! A great post. I will be looking out for that book. Thanks Sian – next week! That would be AMAZING thank you – it won’t all be about bloggers, but it’s a great angle to have. “Using your blaggness for good”? Love that phrase 🙂 Looking forward to hearing more. LoL glad you liked the concept – I’ll be in touch! Seriously, someone give the woman an extra award! I was expecting a ranty shouty post, but far from it, its exactly hit the nail on the head. I really couldn’t agree more with every sentiment here. I for one can say the recession has hit me hard, and in the same way as before I go out and buy new, I pop on over to EBay and see what I can get there first, I love a jumble sale, and if after writing blogs in one guise or another since 2006, if someone offers me something for review, then if its something I can use, I will. I’m very aware of us all being in the same boat, finances wise, and I always try and spread product around. I’m not great at the ad revenue thing, but the odd this and that does relieve the bank account! I am not afraid to say that many may see me as one of the worst “blag” offenders, but I’m inclined to shrug my shoulders. Mums need to stick together, and I’d be happy to sign up to anything you have in the pipeline! Blimey – thank you very much! Very well said! I ma fairly new to blogging and this is the first post in the subject of the “debate” that has made sense to me! Whatever you have planned count me in! So glad it made sense, thank you! LoL you know I always plan for flakiness! It’s all a bit hush hush at the moment – but I’ll let you know as it gets clearer! Well done on blagging your post too! I confess too, im a blagger! I rarely do it for me, however i only work 1 day a week, hubbu is signed off sick – and probably won’t work again, I write and love to do so so why should my daughter suffer from the lack of money in our household? I occassionally get stuff sent for me but most its for Emmy – I would love to be able to afford to buy her new things however when im caring for my husband I dont get the time to work as Caring is a full time job in itself. Blimey, that’s a tough situation – it makes total sense to blag and value every little thing you can get. great – I might have a special plan for you! I echo your sentiments regarding ‘blagging’, the word itself also makes me seethe silently after all if we wrote for a magazine rather than our personal blogs it wouldn’t viewed quite the same way! My blagging skillz are zero, although I am doing my first ever mooch around PRs to try and muster up some prizes for giveaways over on the Love All Blogs posse of sites at the moment in return for some free advertising so maybe I’ll grow into a seasoned ‘asker of items’ before long. I can be of assistance with any missions secret or otherwise SHOUT! FABULOUS! I reckon you are actually going to be a pretty good blagger, as I’ve seen your style on Facebook and you know how to get a reaction from people – what with your ‘I found my husband in my pants’ post!!! Well first of all, I’d added this post to my Blog Promotions page on my blog. I’ve promoted my book on Twitter, Facebook and it’s permanently advertised on my blog, but I’d never consider myself to be a blagger. I have nothing against it unless people are just being greedy and when I say that I mean, if someone who has plenty money to buy all the luxuries they can afford for their kids continues to blag for freebies, then I personally think they should seriously think about those people who don’t have the money to spare and whose kids are going without – those are my very personal thoughts so please don’t shoot me down in flames! I think the actual word ‘blagging’, is pretty awful. Asking a PR to send an item in exchange for a good and honest review is all they’re doing and for some reason this word completely lowers the tone of what a good blogger is doing on their blog. We are all entitled to write about what we like on our blogs and we should be able to do it without feeling the need to apologise in advance – something I see occasionally on tweets! I’m very much an each-to-their-own kinda gal. 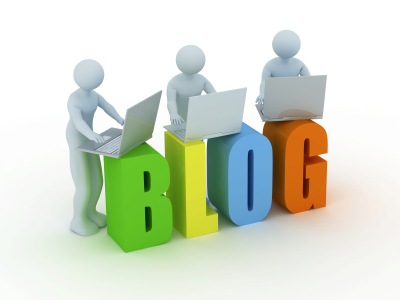 Your blog, your rules. My blog, my rules. End of. Thank you for your fab reply. Funnily enough tonight I was thinking about the so called rise in ‘blagging’ and whether some of it has come from people legitimately needing stuff and not being able to afford it. Or perhaps the fact that people are worried about lacking things, that they are just desperate to get their hands on anything. I totally agree about the ‘greedy’ – that’s kind of what I was saying with the fact that all deals should be ‘fair’ for all parties involved. It’s why I’m giving the coat away as a competition prize for my readers – I don’t have a coat like it that fits me, but I also know that there are people in much worse situations than me. It’s a shame that people are using the term blagging as such a derogatory term – that’s half of why I wrote this post in such a tongue in cheek way to get people to rethink what ‘blagging’ really is. Not all have been able to see through their judgement though and ‘get’ what I was saying, they just panic too much about being considered a blagger or judge me without reading the post because I said I was a blagger! Great Liska – you are now on my list!